Staying healthy today means more than just eating right and exercising daily.While these activities are great for you, they are only a part of what it means to have good health. Recent research has shown that there is a connection between the condition of your gums and the health of your heart. This makes it even more important to maintain good oral health, especially when taking care of your teeth means you are also taking care of your heart. When you get gum disease, also called periodontitis, you are getting inflammation in your mouth. Once there is inflammation there, it can quickly spread into your blood stream, and then through your body. It is now known that inflammation is behind the start of heart disease. The presence of periodontitis means that you are at a greater risk for developing heart disease. It also raises the risk of those who already have heart disease. Inflammation can make it worse, but antibiotics before dental work may lower the risk of heart problems during dental work. The exact process as to how inflammation might be related is not yet certain. Researchers do not yet fully understand how it works, but they are rather certain that some of the evidence points in that direction. Inflammation is also believed to be behind the development of hardening of the arteries (atherosclerosis). Diabetes is believed to have a connection with inflammation, too. It is also a factor in developing heart disease. Of course, any one of these health problems could prove to be fatal, making it all that much the more important to try and prevent all of them. If you have periodontal disease, then inflammation is present. It occurs when the bacterium near the gum line infects the gums, and then inflammation is present. You will also have some bleeding of the gums when you brush them, but it is important to understand the presence of inflammation. The inflammation causes people with it to also develop problems in the blood vessels leading to the brain. This could cause a stroke over time. 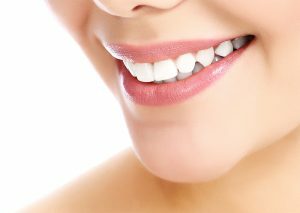 Studies have indicated that people that had a lower amount of teeth and more gum disease had a greater risk of stroke. Another problem caused by inflammation is that pregnant women with it tend to have more premature births. Measuring inflammation in the amniotic fluid of those who delivered pre-term found that inflammation was often present. Some doctors are saying that this may be a good marker to go by to know which mothers are likely to deliver early. After the inflammation was treated in pregnant women, it was discovered that their overall health was improved. In fact, their costs of medical services dropped by more than 70%. Taking care of your teeth and gums appears to be a good way to lower your risk of heart disease. People that had diabetes and heart disease were treated for their periodontitis, and afterwards found that all their costs for health care had dropped by 20%- 40%. Taking care of your teeth will do more for you than just help them to last longer. If you brush and floss regularly, you can actually improve your overall health by reducing inflammation. This can help protect your heart, your blood vessels, brain, and more. While more research is needed to fully confirm the connection, taking care of your teeth and gums is just a good idea. In some cases, you will need to go to a dentist to help get control over periodontitis. This will require a thorough teeth cleaning, and some anti-biotics may also be needed. Make sure to schedule routine dentist appointments so that your dentist can catch any early signs of periodontitis. For a dental team you can trust, contact Monterey Dental Contours. Our dental team is enthusiastic about enhancing the beauty and function of a healthy smile. Our mission is to see that you experience these benefits that bring greater pleasure to your life!